NCLAC is excited to partner with Louisiana Tech's MFA program on a new series of Arts Academy classes. These classes will be taught by 3rd year MFA candidates, promoted by 2nd year candidates, and assisted by 1st year candidates. This is a wonderful opportunity for these Masters students to work with a nonprofit in the community, to continue their teaching experience, and to create unique class opportunities for both children and adults. The series will kick off with Matthew Knopps' class titled Visual Rhythm, as described below by Mary Dunn. The class requires pre-registration and class size is very limited due to the nature of the process. Come be a part of Ruston’s arts and culture community! NCLAC is partnering with Louisiana Tech’s MFA program to present Visual Rhythm, a workshop combining public, collaborative art with music. Led by MFA candidate Matthew Knopps, workshop participants will create an original art installation to be displayed in the new Percussive Arts Institute of Ruston (PAIR) just in time for this fall’s Holiday Arts Tour. The workshop will take place on November 9, 2013, from 9am–4pm at the Dixie Center for the Arts, and will focus on principles like variety, unity and repetition. Teams of one adult and one child age 10–16 are encouraged to sign up soon, because space is limited! The fee ($20 for non-NCLAC members; $15 for members) covers all materials and a snack, but bring a sack lunch. Register now by calling (318) 255-1450 or emailing nclac5@gmail.com. This is a wonderful opportunity for creative parents and kids to work together to make an art piece that will be on exhibit during NCLAC's 16th annual Holiday Arts Tour in downtown Ruston. The dates for the Tour are November 21-24. During recent holiday celebrations, the topic turned to alone time, or "me" time. As an only child, I grew up with much alone time, which I loved and still do. As a parent of two, however, I don't often get alone time anymore, and sometimes I even count time at work as alone time...which I think should be illegal. Nonetheless, I realize that I need to have some time for myself. It's not going to magically appear, so I have to make it happen. As I'm thinking about 2011 and preparing for 2012, with more "me" time in mind, my thoughts turn to education. I recently touted crossword puzzles and reading as daily habits that keep my dad super sharp. What am I doing to keep myself sharp? When Nicole Duet taught her Color and Composition Workshop for NCLAC in the fall, I took the class. I was a college student for many years, but this class was my first in quite some time. It was perfect! I had something new to think about and practice, I met a diverse group of adults with similar interests, and I did it for myself. It was a great use of my time. As a mom of young children, I know firsthand that parents often do special activities for their children and forget to do the same for themselves. As NCLAC's Educational Coordinator, I know that we offer similar "special activities" for adults through our Arts Academy classes. There are many opportunities for artistic enrichment this winter through our Arts Academy classes. We have classes for teens, young children and adults, so check them out below and give us a call at (318)255-1450 to register! For Teens: Comic Book Workshop If hearing "I'm bored" isn't on your favorites list, register your teen for NCLAC's 2-day Comic Book Workshop. The class will be held during the Christmas break, December 27 and 28, from 8:30am-3:30pm. This teen class, for those ages 13-18, will explore the design and creation of a comic book, discussing both story and execution. The workshop will be taught by Joshua Chambers, an area artist as well as a Gifted and Talented art teacher for the Ouachita Parish school system. The 2-day class fee is $60 for NCLAC members, $70 for non-members. The workshop will be held at the Dixie Center for the Arts, 212 North Vienna, on both Tuesday and Wednesday. A daily snack and all supplies are provided with the class fee. Class size is limited and pre-registration is required. Be sure to bring a sack lunch. For Kids: Household Printmaking What will your kids be doing after Christmas during their school break? NCLAC Arts Academy is offering Household Printmaking with Executive Director Leigh Anne Chambers, on Thursday, December 29, from 8:30am - 3:30pm. Children ages 6-12 will be introduced to printmaking techniques, such as glue-line printing, that can easily be executed at home with on-hand materials. The class fee is $35 for NCLAC members, $45 for non-members. All supplies and a snack are included. The class will be held at the Dixie Center for the Arts, 212 North Vienna in Ruston. Class size is limited and pre-registration is required. Bring a sack lunch. Petite Players Petite Players is back for winter! This 3-day class shows you're never too small to put on a show. For kids 6-12, your player will act, design, and write her own play! The class will be taught by Theatre Educator and NCLAC Executive Director, Leigh Anne Chambers. The 3-part class is $40 for NCLAC members, $50 for non-members. All supplies are included. It will be held 3 Saturdays in January (January 14, 21, and 28) from 9am - 12pm, at the Dixie Center for the Arts, 212 North Vienna in Ruston. Class size is limited and pre-registration is required. For Adults: Beginning Guitar Theory Would you like to better your understanding of basic music theory? NCLAC Arts Academy for Adults proudly presents Beginning Guitar Theory with Dr. Cain Budds. Dr. Budds, Assistant Professor of Guitar and Music Theory at Louisiana Tech, will teach the 2-hour class, Saturday, January 14, from 10am - 12pm. The only requirements are a guitar and a desire to increase your knowledge of music theory. You can play with confidence when you understand the rhyme and reason behind what you're playing. The cost for the 1-day class is $25 for NCLAC members and $30 for non-members. Space is limited in order to provide personal instruction, and pre-registration is required. The class is offered to those 16 through adult, and will be held at Howard Recital Hall on the campus of Louisiana Tech University. Jazz Up the Blues NCLAC Arts Academy for Adults offers Jazz Up the Blues, taught by Dr. Cain Budds. Dr. Budds will teach the 2-hour class, Saturday, January 21, from 10am - 12pm. The only requirements are a guitar and the desire to liven up your blues jams. The cost for the 1-day class is $25 for NCLAC members and $30 for non-members. Space is limited in order to provide personal instruction, and pre-registration is required. The class is offered to those 16 through adult and will be held at Howard Recital Hall on the campus of Louisiana Tech University. Finger-Style Guitar Brush up your guitar chops, or try something completely new! NCLAC Arts Academy for Adults is happy to offer Finger-Style Guitar, taught by Dr. Cain Budds. Dr. Budds will teach the 2-hour class, Saturday, January 28, from 10am - 12pm. The only requirements are a guitar and a desire to learn finger-style, which is a perfect complement for chords your may already know. The cost for the 1-day class is $25 for NCLAC members and $30 for non-members. Space is limited in order to provide personal instruction, and pre-registration is required. The class is offered to those 16 through adult and will be held at Howard Recital Hall on the campus of Louisiana Tech University. Arts Academy classes are part of NCLAC's educational outreach. NCLAC believes the visual, performing and literary arts are a necessary enhancement for all individuals and seeks to enrich the region by fostering opportunities for creative expression. NCLAC is supported in part by a grant from the Louisiana Division of the Arts, Office of Cultural Development, Department of Culture, Recreation and Tourism, in cooperation with the Louisiana State Arts Council. Funding has also been provided by the National Endowment for the Arts, a Federal agency. 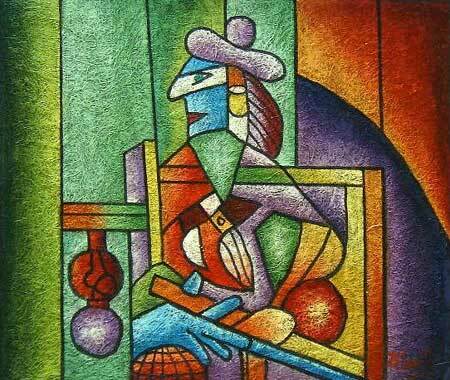 October is National Arts and Humanities Month! This Saturday NCLAC's Arts Academy for Adults has two opportunities for you. Nicole Duet will be teaching a two-day Color & Composition Workshop in the morning, and Geri Taylor will be teaching Gourd Painting in the afternoon. The Color and Composition Workshop will be held both this Saturday (Oct. 22) and next Saturday (Oct. 29) from 9am - 12noon. 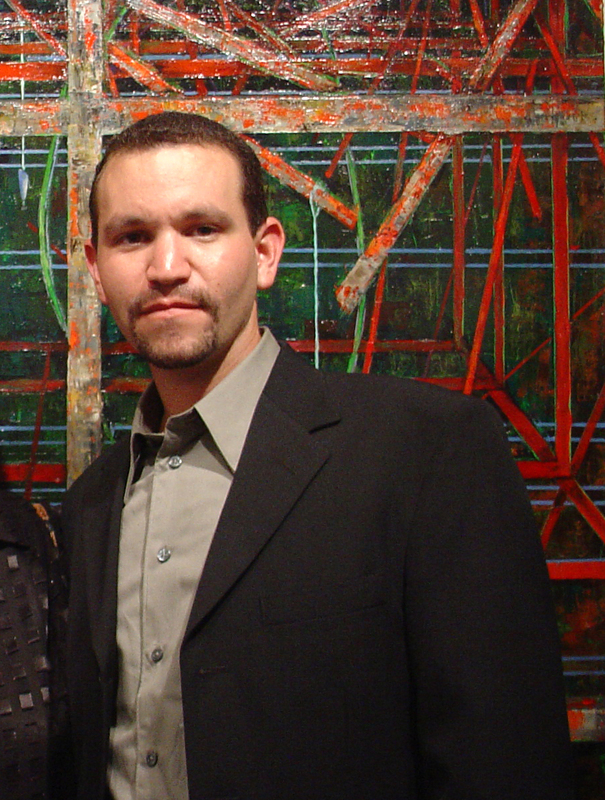 Nicole Duet will offer even seasoned painters a fresh look at the study of color theory. The class will be divided into two sections: color awareness, and composition fundamentals. The class fee is $30 for NCLAC members, $35 for non-members. Supplies are not included, so call or email for the supply list. Geri Taylor will demonstrate how to design and paint on beautiful, sculptural gourds in this one-day Gourd Painting class. The technique is perfect for this time of year, and it will certainly add to your ideas for holiday decor. The fee for the one-day class is $35 for NCLAC members, $40 for non-members. The class fee will cover all supplies needed for the class, including gourds and paint. This class will be held from 2pm - 4:30pm. In honor of National Arts and Humanities Month, NCLAC Arts Academy is proud to offer a new adult class at a discounted rate. Nicole Duet's Color and Composition Workshop will offer even seasoned painters a fresh look at the study of color theory. The class will meet on Saturday, October 22 and Saturday, October 27, from 9:00am to 12:00pm. The fee for the two-day class is $30 for NCLAC members, and $35 for non-members. This hands-on workshop is a color intensive divided into two parts. In the first half students build their color awareness through the practice of mixing. Secondary benefits include learning to mix with intention and getting the most variety out of a limited palette. 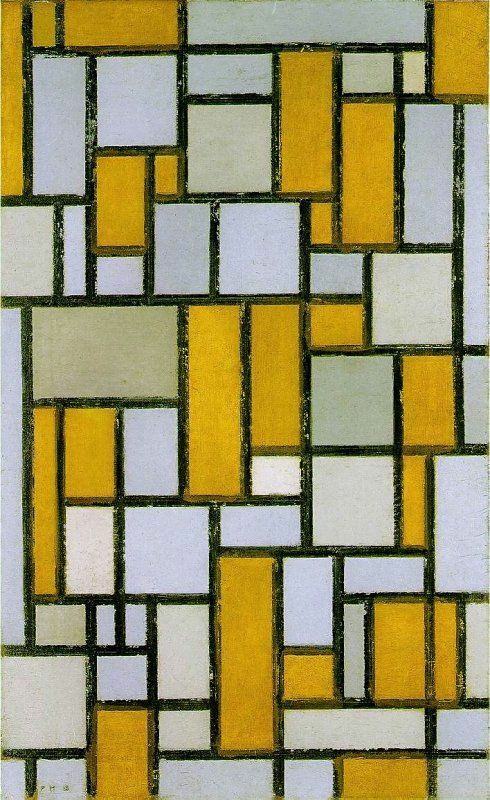 The second half focuses on an introduction to fundamentals of composition. 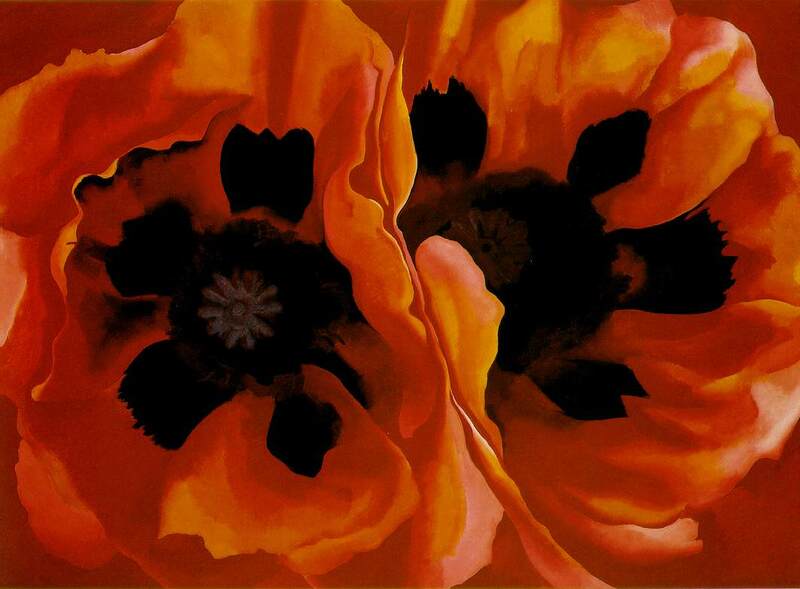 Students will complete a small painting while studying basic principles of color harmony. Course includes slide lectures, personalized attention, and instructor demonstrations. Nicole Duet is a New Orleans native who has recently returned from southern California to become an Asst. Professor at LA Tech School of Art. Nicole has given color workshops and classes throughout Los Angeles including both California State University Northridge and Long Beach, and for the animator's union at the American Animation Institute of Los Angeles. You can see her work at www.nicoleduet.com. Pre-registration required. Call 255-1450 or email nclac5@gmail.com. Call for supply list. Adult Arts Academy classes are part of NCLAC's educational outreach. NCLAC believes the visual, performing and literary arts are a necessary enhancement for all individuals and seeks to enrich the region by fostering opportunities for creative expression. NCLAC Arts Academy presents a brand new class, perfect for budding artists. Little Masters is a fun mix of art history and art making for children ages 6-10. Each Saturday, your child will learn about an artist, then create a personal masterpiece in that artist's style! Local artist and NCLAC staff member, Russell Pirkle, will be teaching the class. Pirkle holds a Bachelor's Degree in Fine Art from Louisiana Tech University, and is currently enrolled in the English Education Master's Degree program. 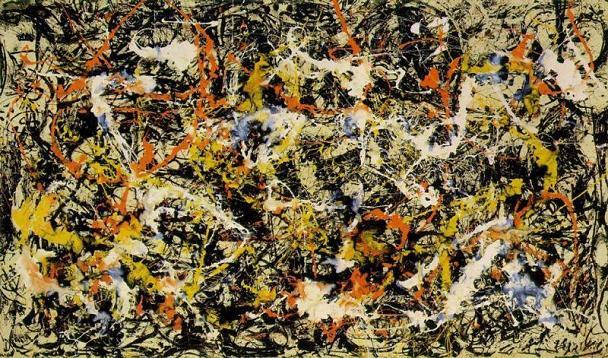 Pirkle has chosen four fascinating artists for the class: Jackson Pollock, Georgia O'Keeffe, Pablo Picasso and Piet Mondrian. Little Masters is part of NCLAC’s Arts Academy MARK programming, Making Art Reach Kids. NCLAC offers educational programming in order to encourage creative expression in our youth.We believe that the visual, performing and literary arts are a necessary enhancement for all individuals. Parents, the Columbus Day school holiday is right around the corner. What will your children be doing while you're working? Where will they go? Have them join NCLAC Arts Academy for a magical Columbus Day, full of historical discovery and the age-old art of traditional puppet-making! This class is for children ages 6-11. It will be held Monday, October 10, from 8:30am - 3:30pm at the Dixie Center for the Arts, 212 North Vienna. The fee is $35 for NCLAC members, $45 for non-members. Bring a sack lunch; supplies and snack will be provided. Class will be taught by Theatre Instructor Leigh Anne Chambers. Spaces are limited so call 255-1450 or email nclac5@gmail.com to register today!! Supported in part by a grant from the Louisiana Division of the Arts, Office of Cultural Development, Department of Culture, Recreation & Tourism, in cooperation with the Louisiana State Arts Council. Funding has also been provided by the National Endowment for the Arts, a Federal agency. This weekend begins the new season of Arts Academy classes. Petite Players, directed by Theatre Educator Leigh Anne Chambers, will be an exploration of melodrama. Participants will learn about the history of melodrama, then write and star in their own performance! From silent movies to Dudley Do-Right, freedictionary.com defines melodrama as "a drama, such as a play, film, or television program, characterized by exaggerated emotions, stereotypical characters, and interpersonal conflicts." This class will be loads of fun, perfect for the budding performers in your life. There's still time to register by calling 255-1450. The class is for 6 - 11 year olds and will be held each Saturday, Sept. 10 - Oct. 1, from 9 am - 12 pm, at the Dixie Center for the Arts. The fee is $40 for NCLAC members, $60 for non-members. Our fall and winter lineup of Arts Academy classes is here! We have a variety of classes offered for children of all ages.All classes require pre-registration, and two are beginning this weekend! Call NCLAC at 255-1450 or email us at nclac5@gmail.com to get signed up! Enjoy reading? Like to write? Dream of being published?Join The Book Review: Workshop for Young Adults! NCLAC Arts Academy presents its first “writing skills” workshop, facilitated by Russell Pirkle. Pirkle is in the English Education Masters program at Louisiana Tech University, and is a graduate of LA Tech’s Studio Art program. The Book Review is a reading and writing workshop where participants each read a recently published teen fiction book, then discuss and write a review that will be published in the Ruston Daily Leader. Reading concepts including evaluation, interpretation, genre, and style will be addressed, as will writing skills such as pre-writing, rhetorical devices, and audience consideration. The Book Review: Workshop for Young Adults will be held for 4 Saturdays: September 3, September 10 and September 17, September 24. Meeting time is from 10-11:30am, at Crescent City Coffee, located at 1007 North Trenton Street, Ruston, LA. The class is open to high school students. Pre-registration is required, in addition to the class fee of $30. All materials are included. Please call 255-1450 to register, or email NCLAC at nclac5@gmail.com. Spots Still Open in our Teen Guitar Workshop!! received his Bachelor and Master's degrees from Illinois State University. He is currently Assistant Professor of Guitar and Music Theory as well as Head of the String Area at Louisiana Tech University where he heads a vibrant guitar studio. Dr. Budds will teach a workshop for teens. Which will be held at the Louisiana Tech University, Howard Center Recital Hall, which is located on campus, north of W. California Ave. on Adams Blvd. The class will be held Tuesday, July 26 and Thursday, July 28 from 10am to 12pm. Guitars will be provided. Finger-style is a perfect complement for chords you may already know. Cost for the 2-day workshops is $50 for NCLAC members and $60 for non-members. NCLAC Academy helps us better fulfill our mission by benefiting artists and the community alike. Academy classes and workshops not only offer more opportunities for professional artists to earn income through their passion, they also offer opportunities for all ages to expand their horizons, whether simply for pleasure or to learn valuable skills. For more information about NCLAC Academy classes or to register, call 255-1450 or email nclac5@gmail.com. Space is limited in order to provide attentive instruction, so be sure to register today. The Summer Arts Camp season is humming along, with 4 camps behind us, and 2 still to come. 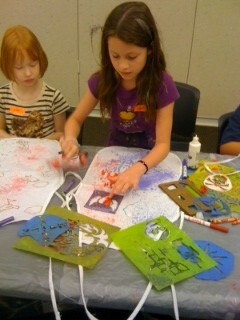 Today I'm sharing photos of our Ruston 2 campers on their first day of camp, working diligently on their art projects. This week's location is at the Lincoln Parish Library, and we are so grateful for the donation of space in their new Events Center. In Ashley's Feagin's 3D class, the students made Tall Hats. Many thanks to our local Super One Grocery for the donation of the paper bags for creating the hats! Josh Chamber's 2D class worked on Art Aprons, learning how to use stencils and experiment with surface decoration. There are still 2 camps available for registration: Arcadia=July 18-22, and Jonesboro=July 25-29. Call us at 255-1450 to register today. Come join the fun before the summer ends! Brush-up on your guitar chops this summer with NCLAC Academy’s new Beginning Guitar Workshops taught by Dr. Cain Budds. 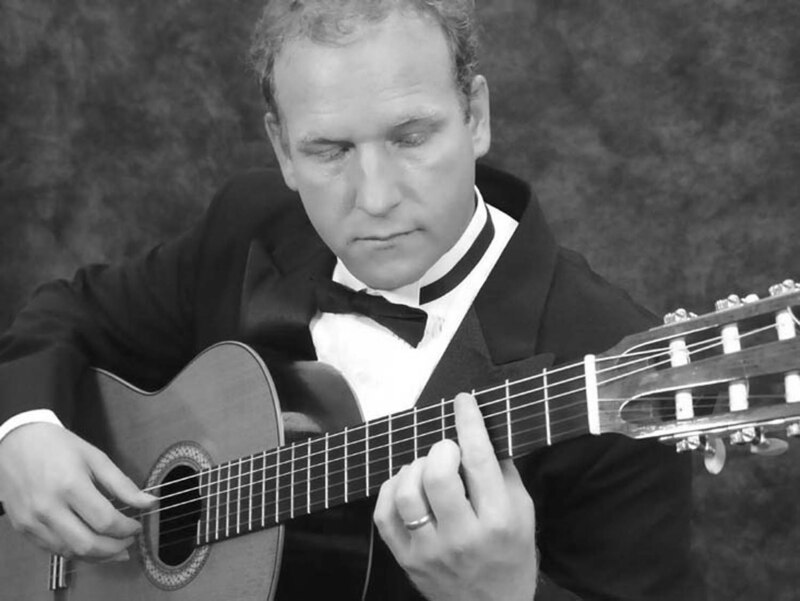 Dr. Budds, received the Doctor of Musical Arts degree in classical guitar performance at Arizona State University and received his Bachelor and Master's degrees from Illinois State University. He is currently Assistant Professor of Guitar and Music Theory as well as Head of the String Area at Louisiana Tech University where he heads a vibrant guitar studio. Dr. Budds will teach two workshops, one for adults and one for teens. Both will be held at the Louisiana Tech University, Howard Center Recital Hall, which is located on campus, north of W. California Ave. on Adams Blvd. The adult class will be held Saturday, July 16 and Saturday, July 23, from 9am to 11am. The teen class will be held Tuesday, July 26 and Thursday, July 28 from 10am to 12pm. The only requirements are a guitar and a desire to learn finger-style. Finger-style is a perfect complement for chords you may already know. Cost for the 2-day workshops is $50 for NCLAC members and $60 for non-members. Summer Arts Camp season begins in 1 week! Each Tuesday I've been introducing you to our camp teachers, but today since we are 1 week away, I'd like to give you a taste of some of the projects our teachers will be coordinating. In Homer, June 20-24, students will be creating an Underwater Mural and Tall Hats. Students at the first Ruston camp, June 27-July 1, will be making Mixed Media Robots and Modern Art Pinwheels. Origami and Solar Art Prints will be included at the Farmerville camp, July 4-8. The Ruston 2 camp, July 11-15, will include You Are What You Eat, and an exploration of Japanese Theatre with our very own Leigh Anne Chambers. 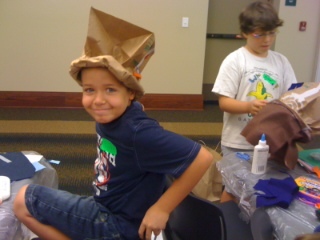 Arcadia campers, July 18-22, will make Magazine Bowls and Puppets. The season will end in Jonesboro, July 25-29, with the creation of Klimt-style paintings and a 3D Ferris Wheel. Sounds like a fun summer, right? Come join us! Call (318) 255-1450 to register by phone, or download the Registration Form PDF in the My Shared Files Box at the bottom of your screen and mail it in. Each camp is $60, Monday - Friday, 9am - 12pm, with a $10 8am morning yoga option. We are almost there! Only 2 weeks till the start of our 2011 Summer Arts Camp season! Today's featured teacher is Heather Cregut. Some of you may know her as an Earth Science teacher at Webster Junior High School, but she also holds a Bachelor's Degree in Fine Arts. Heather is a California native who has spent her adult life in Ruston. Her household is usually busy, with a dog, cat, iguana and fish as roommates. 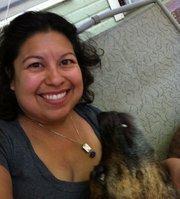 Heather is a creator; she paints, makes jewelry, sews, cooks and gardens. She has some amazing projects planned for our campers in Jonesboro, including a Klimt project with beautifully patterned paper and metallic paint. Matisse will also be discussed, with a fun cut-out activity fashioned in his style. Our Ruston 1 camp is already full, with only a couple spaces left in the Ruston 2 camp, so don't delay in taking care of your registration! The camps in Homer, Farmerville, Arcadia and Jonesboro still have room, so find a friend and make the short drive together. You're children will love the personal attention given to them at our smaller camps.Call us at (318)255-1450 or download the registration form available in the My Shared Files box at the bottom of your screen. Allie Bennet is our star teacher in today's SAC Encounter. Allie will be teaching Drama and early morning yoga classes for many of our camps this summer. Allie has theatre experience in both the US and Germany, acting in many shows including Sleeping Beauty and I Remember Mama. 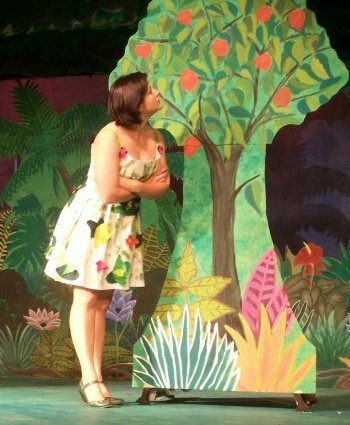 Allie's theatre credentials also include costuming, having designed and constructed shows such as Seussical the Musical, Alice in Wonderland and A Few Good Men. Allie taught for NCLAC's Summer Arts Camps last year, and she just completed our Drama Warehouse workshop, where she instructed children and parents in Bernice on theatre fundamentals. Allie is the owner of Stitchville, downtown Ruston's new fabric and yarn shop, where she holds children's summer camps, and adult sewing and knitting classes. Our camps are filling up, with only a few spaces left at the Ruston 1 Camp (June 27-July 1) so be sure to register now! Call us at 255-1450, or download the registration PDF in the "My Shared Files" box at the bottom of your screen. Camps begin in 3 weeks! We are only 4 weeks away from our 2011 Summer Arts Camps! Today's featured teacher, Josh Chambers, has great projects planned for the 2D class at the Ruston 2 camp, to be held July 11-15, at the Lincoln Parish Library. Some of his activities include Monster Paintings, You Are What You Eat, and Constructed Memories, an exciting recycled materials diorama project. Josh received his MFA from Louisiana Tech, and has had work included in several publications including New American Paintings and Studio Visit Magazine. He is both a local artist and the Curator of Education and Public Programs for the Masur Museum of Art in Monroe, LA. Camps are filling up quickly, so be sure to pre-register. Call us at (318)255-1450, or download the Registration PDF in the Shared Files box at the bottom of your screen. Nick Bustamante is this week's featured Summer Arts Camps teacher. Nick is a familiar face for NCLAC: he teaches every summer in our 2D classes. This year he'll be at our Homer and Ruston 1 camps, prepared with exciting new projects including mixed media robots and an underwater mural. 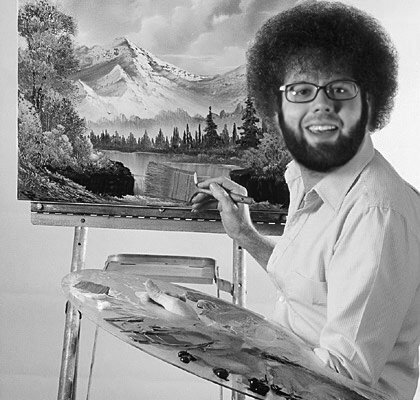 Nick is both an art educator and a professional working artist. He is an Associate Professor of Studio Art at Louisiana Tech, and he has an active national showing record. Some of his recent exhibitions include There's No Place Like..., in Tennessee, and Small Works Exhibition in California. Be sure to pre-register for camp in order to guarantee your child's spot. Call us at (318)255-1450 or download our Registration PDF at the bottom of your screen.